Although Bermuda is a tiny island where you can travel from one end to the other in about an hour by a taxi or scooter, the island is packed with so many amazing sightseeing places and tourist attractions. You can spend days travelling around the island exploring the great places of interests. While most visit the island with the lovely pink sandy beaches in mind, there are lot more to explore than you can imagine. The Aquarium showcases a wide range of colorful reefs and deep sea fishes of the north Atlantic. And the complex has a museum and zoo in it. The expansive National Museum in Royal Naval Dockyard exhibits the rich maritime history, culture and heritage of the island since 17th century, the time when island was first inhabited. There are many historic forts built during the British colonial days, amazing natural caves with spectacular limestone formations, old lighthouses which were once used to help ships navigate out of the treacherous hidden reefs in Bermuda's waters (you can climb to the top and get sweeping views of the island and ocean). Numerous magnificent churches have been built in Bermuda of various denominations some of which are oldest in this part of the world and have great historical significance. And there are many historical sites, lovely parks, gardens, nature reserves, lakes & harbors, and so much more. You can take a public transport like a bus or ferry, get around the island and reach out virtually to all tourist places. Of course the taxi service is great as well. There are also guided group tours offered in minibuses. Car rentals are not allowed in Bermuda. However, scooter and bicycle rentals are popular. Bermuda Aquarium, Museum & Zoo (BAMZ): This is a wonderful complex along North Shore Road across Flatts Bridge in Hamilton Parish. The Aquarium houses more than 200 species of fish, and features the award-winning North Rock Exhibit. The zoo has more than 300 birds, reptiles and mammals from oceanic islands. Bus routes #10, 11, 3 operating between Hamilton and St. George have services to BAMZ. Crystal & Fantasy Caves: Take the guided tour of the caves complex and see the stunning dramatic formations of stalactites and stalagmites as you hear the history of the caves and their discovery. Inside Crystal Caves, you will walk on the wooden bridge over the crystal-clear Cahow lake. The caves are located in Hamilton Parish and accessible by bus #1 and 3 (and also by #10 and 11) operating between Hamilton and St. George. You can easily combine the caves visit along with Aquarium and proceed further to visit the historic town of St. George on the same bus routes. National Museum of Bermuda: Fascinating stories of Bermuda's history & heritage since the first settlement began in early 17th century are all captured in a 19th-century fortress known as The Keep at the Royal Naval Dockyard in Sandys Parish. This museum was earlier known as Bermuda Maritime Museum which featured mostly maritime history of the island. After major enhancements and new layout, and having added many new exhibits and collections, it has become The National Museum of Bermuda since December 2009. Tourists visiting from other locations of the island can avail bus #7 or 8 operating between Hamilton and dockyard, or the ferry from Hamilton to reach dockyard. St Peter’s Church: Located in St. George's Town, this is the oldest church in the western hemisphere. The church looks very simple from outside. Inside the candlelit chandeliers, the open cedar beams and unfinished look of the pillars make a unique ambience. There are two graveyards here - one for the black slaves and the other for the whites. Once you reach St. George's Town Square (bus #10, 11, 1, 3 or by ferry from dockyard), it's an easy walk (100 meters). Gibbs Hill Lighthouse: This is the oldest cast-iron lighthouse in the world and located at Southampton parish. Climb the stairs (185 steps), go up to the balcony at the top, and look around... the views are amazing. The view of the Great Sound, the many fishing and sailing boats, the landscapes are wonderful to watch. This was the lighthouse which helped many ships navigate safely through the treacherous water areas during 1800s and beyond. The lighthouse is located in Southampton. Bus #7 comes near, it's a short walk from the bus stop. The famous Horseshoe Beach is located nearby, and a combined visit is easy. Same bus route #7 goes to the beach in few minutes. Fort St. Catherine: Located at the north-eastern tip of St. George's, the fort's historic exhibits & artifacts and well-preserved interior makes it our top choice of forts in the island. This is one of the oldest forts in the island built in early 1600s when the British settlement began. It was then an wooden fort. However it had to be renovated and rebuilt several times, and now made of stones. It is also a large museum which show cases many artifacts of British military operations. From Kings Square of St. George, you can walk (about 25 minutes) or take a shuttle. Blue Hole Park (Tom Moore's Jungle): A Nature Reserve in Hamilton Parish spreading across 12 acres of land area. It's also known as the Tom Moore's jungle and actually the only real forest area in the island. It has amazing natural pool and hidden grottos & caves, nature trails amongst lush vegetation ... a perfect secluded exploration. You can reach by bus #1, 3, 10 or 11, get off at the entry to Grotto Bay Beach Resort, and walk a short distance to the reserve. Dolphin Quest: A fantastic Dolphin center in Royal Naval Dockyard. If you have a dream to swim with dolphins, touch or feed them, there is no better place than the Dolphin Quest in Bermuda. While it's quite pricey to take part in the dolphin activities like swimming and feeding, you can also just go and watch the great dolphin shows and learn how they are trained to perform. The center is located within the Bermuda National Museum complex in Dockyard. Spittal Pond Nature Reserve: This is the largest and the most premium nature reserve of Bermuda covering 64-acres of land and is the best bird watching location in the island. Other than the large pond and lush vegetation, you can get marvelous views of the coastline, get to see some strange natural formations on the coast, and also a cave where a slave once hid for a month during the dark days of Bermuda's slavery period. It's located at Smith's Parish. Bus #1 and 3 operating between Hamilton and St. George stop at the reserve. Cathedral of The Most Holy Trinity: This church is a wonderful exhibition of Victorian architecture and located in Hamilton City. This imposing structure with its 143-ft tower is one of the most well known landmarks in the city and a very popular place of interest. Awesome architectural work and views from the top of the tower are its main attractions. It's on Church Street and 10-12 minute walk from Hamilton Ferry Terminal. Somerset Bridge: This is the smallest draw bridge in the world. It's located at Sandys parish in Somerset and was originally built in 1620. An wooden block needs to be removed to allow the mast of a sail boat to pass through. Bus #7 and 8 go over the bridge and have stops nearby. Cooper's Island Nature Reserve: Another wonderful unspoiled reserve with lush vegetation and wonderful views of Castle Harbor. It's located at St. Davids and next to Clearwater Beach, which is a very popular family beach in the area. Other than shuttle services from St. George, some services of bus #6 caters to the place. St Davids Lighthouse: The lighthouse stands on the highest point on the Eastern tip of the island and sends its beam 20 miles over the ocean. St. George's Town: This historic place is known as the 'olde towne'. This is where the first settlement began way back in early 1600s and the town was therefore named after the founder of Bermuda - Sir. George Somers. St. George was the former capital of Bermuda. The narrow lanes and alleyways on which horse drawn carriages operated, still bear the old names. Numerous historic sites, forts, museums and monuments bear the reflections of the days during the old British colonial era. It's now a UNESCO World Heritage site and a must visit place. You can either take a direct ferry from dockyard (in summer only), or bus #10, 11, 1, 3 from Hamilton to get to St. George. Hamilton City: Haven't heard of anybody who has visited Bermuda but not Hamilton. Being centrally located and easily accessible from all across the island, tourists keep pouring into the capital city, be it for great food, nightlife, shopping or to visit sites like City Hall & Art Center, Cabinet House, House of Assembly, National Library, Bermuda Underwater Exploration Institute, Hamilton Fort, one of the lovely city parks... the list goes on. Flatts Village: Located in Hamilton Parish (and also part of Smiths), this picturesque sleepy village on waterside once used to be a busy port in Bermuda. Mark Twain spent his final few days here. Bus #10 and 11 go through the nothern part of Flatts. The visit could be easily combined with the Aquarium which is located across the bridge. Museums and Historical Buildings - There are numerous museums, monuments and historical buildings that have exhibits and artifacts showcasing the four centuries old history and heritage of Bermuda. Some capture the history of marine operations, cultural evolution and even slavery period, while several old historical buildings reflect the British colonial rule and lifestyle of prominent British personalities of such time, and how life in Bermuda has evolved over time. Great Churches - Bermuda is said to have more number of churches per square feet than any other country, from very small to very large, and belonging to different denominations. Architecture varies as some are based on old gothic style being built in early 1600s, some built on wooden structures, while some are quite modern. National Parks, Gardens and Nature Reserves - Parks and reserves are wonderful places to explore the flora and fauna of Bermuda and its bird life. And there are plenty of them all across the island. Historic Forts - There were over 90 forts built in Bermuda since the first settlement in 1612 till the time British garrisons were withdrawn in 1957. Out of them there are 16 mini-forts. Check out the above link to know about history of fortifications in Bermuda and many of the great forts that remained prominent in Bermuda's history. Caves in Bermuda - There are some 150 known caves in Bermuda. Many of them are underwater caves and can be seen by the divers only. But there are several fabulous caves that are above the water surface and opened to tourists. Many of these have stunning crystal like mineral formations of stalactites and stalagmites. Check out the link to know about the best caves in Bermuda. Art & Handicraft - Get to know about the local talents and skills in the island. Visit the top art galleries and watch the exquisite artwork or paintings by Bermudians artists, or the intricate handcrafted glass items made by local flame artists by blowing glasses right in front of you, or see the handmade bronze sculptures. They are amazing. Hamilton Harbor: This is the Hamilton port area between Pembroke and Paget parishes where you will always see hundreds of boats in a picturesque setting. The harbor also has berths for cruise ships along the Front Street of Hamilton City. Great Sound & Little Sound: Great Sound is a large water area in Bermuda that has formed a natural harbor. It has an opening to the Atlantic to its north east. Just below Great Sound is another smaller water area separated by two peninsulas and known as Little Sound. St George's Harbor: Located in St. George's Parish between St. George Island and St. David's Island, this is a port area having a cruise ship berth. There are many small islands scattered in the harbor. Castle Harbor: A scenic water area surrounded by Hamilton Parish and St. George. Harrington Sound: This is a scenic inland lake in Bermuda surrounded by Smiths and Hamilton Parish. It has a number of small islands in it. Paradise Lake: An out of the world water area in Great Sound and surrounded by a number of tiny islands, many of which have historic significance. Mangrove Lake: This is the largest pond measuring some 30 acres and located in Hamilton Parish towards the eastern side of the Harrington Sound. The pond is fringed by thick red mangroves and is home to killifish and diamondback terrapins. Trott's Pond: It's located about half a mile east of Mangrove Lake and is the second largest pond in Bermuda measuring some 10 acres. About 90% of the lake is fringed with a band of thick red mangroves. It too is home to diamondback terrapins. Although you can avail public transports, a guided tour is ideal to see the sites in Bermuda. Plenty of island operators offer both boat tours and island tours to take you around and show you fascinating sites. Some tours are even combined with activities such as snorkeling. 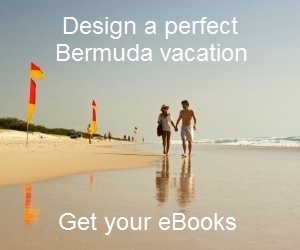 If you are taking a cruise to Bermuda, the cruise lines too offer shore and water based excursions. But they are far more expensive compared to rest although they use the same island operators. This is because the cruise lines keep a hefty commission themselves. If you like to book a tour in Bermuda at low price using world's #1 online service (Viator), then look at the options below. You can find more great tours from the link given below the Top Selling tours. Go through Bermuda Tourist Map to find out where the main tourist sites are located. 3) Off the beaten paths in Bermuda to explore many best kept secrets and hidden gems not known to most.